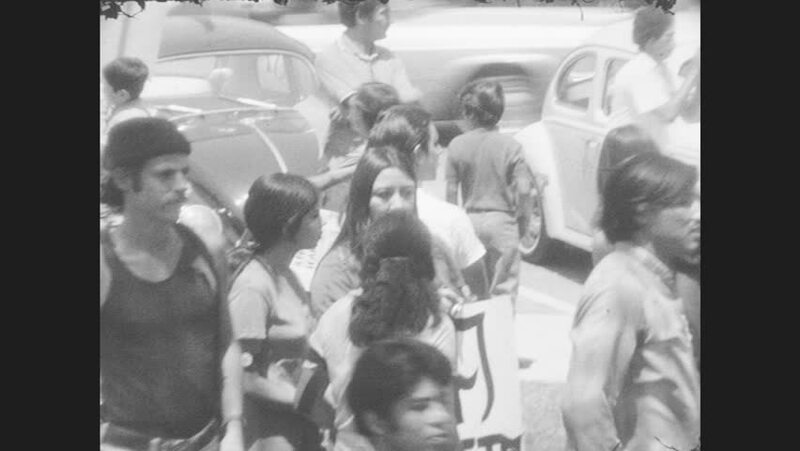 1970s: UNITED STATES: people gather by cars during protest. Man holds sign 'Chicanos belong here not in Vietnan'. hd01:15CIRCA 1940s - Images of General Motors workers turning out aircrafts and machine guns in 1942.
hd01:11CIRCA 1930s - Leaders in Italy, Japan and Germany embark on prewar activities in 1937.
hd01:05CIRCA 1945 - A group of priests is among the excited Dutch crowds swarming a parade of Allies in Bergeijk after the Netherlands have been liberated. hd01:32CIRCA 1952 - Takako visits the father of one of her old students who is dying from radiation illness, in Hiroshima. hd00:201950s: Men stand in room. Man dips pen in ink. Man signs document. Men watch. Men nod.